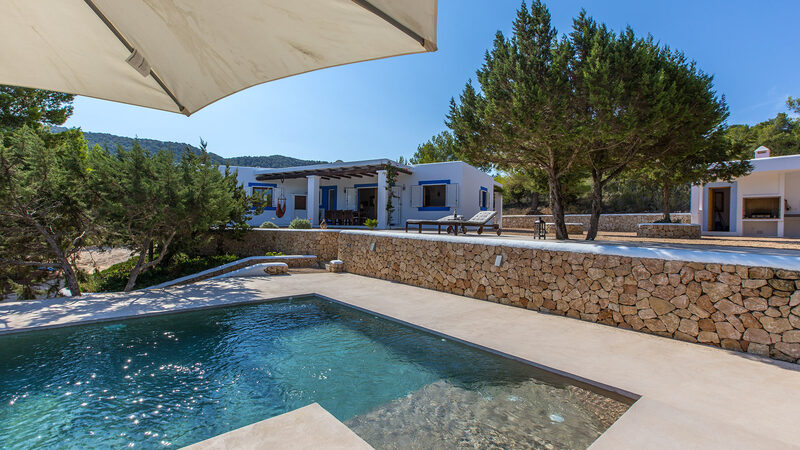 Traditional country house, situated on a hill in the area of Cala Tarida, on a plot of land of 11,000 square metres, this bright villa offers 180m² of space all on one floor. Room, Ground level. Bathroom outside the room. This bedroom includes also air conditioning. Room, Ground level. Bathroom outside the room, shared, with shower. This bedroom includes also air conditioning. The beaches of Cala Moli and Cala Tarida (where our offices are located) are only 5 minutes drive, all the other beaches on the West coast are 10 minutes and the village of Sant Josep is only 5 minutes by car. Supermarket and other services are just 2km away.